How can I create, manage and present my Disaster Recovery Plan? Use the Disaster Recovery Plan Template Toolkit! 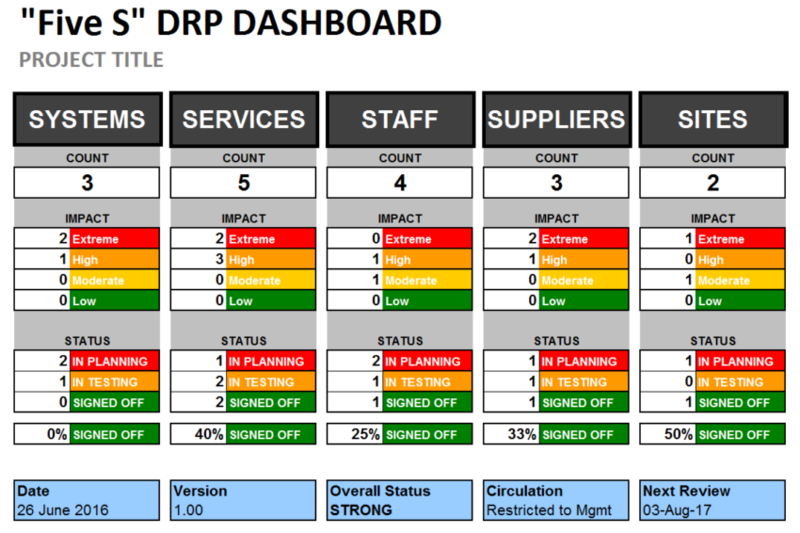 This modern, focussed Disaster Recovery Plan toolkit uses optimised templates for each DRP purpose, and follows our innovative “Five S” DRP Approach: Systems, Services, Staff, Suppliers, Sites.